Efficiency is a requirement of business today but it is empathy and creativity that customers demand from organisations and that comes down to your culture, a leading corporate anthropologist claims. 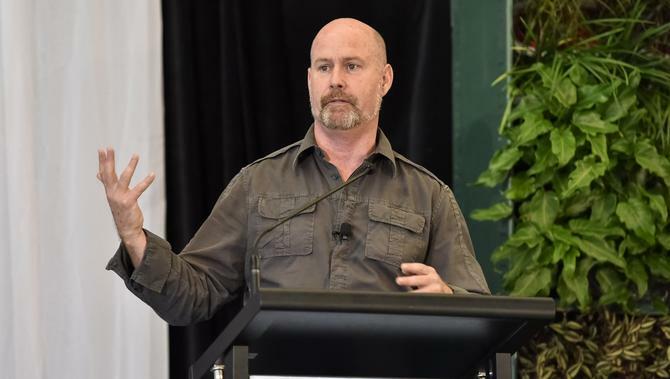 Speaking at the Customer 360 Symposium in the Hunter Valley, chief of New Zealand-based consulting group Cultures at Work, Michael Henderson, took attendees through the importance of company culture in delivering superior customer experiences. He also looked at why organisations need to strive to align their strategy with culture to continue being successful. “Culture used to be a marketing principle in business, but now it’s perceived to be risk management in a significant way,” he said. “Culture today is your first competitor. “Most organisations say culture is ‘the way they do things around here’, but that’s typically about your strategy, process and systems. Culture is not the ‘way’ so much as the ‘why’. Trying to understand your culture means delving deeper and understanding why people behave that way. Tapping into his extensive knowledge of tribal cultures all over the world, Henderson described all cultures in terms of a circle, driven by three primary dynamics: Control, both in terms of internal structure as well as external; relations within the tribe as well as to the outside world; and development, or the ability to adapt and change to the world around you. Getting the right mix will dictate your strength as a business, as well as how many customers will stick with you, Henderson claimed. As an example of the power of culture, he pointed to work undertaken at Proctor and Gamble, which predicted a $16.3 billion revenue deficient over a three-year period because corporate culture wasn’t adapting fast enough to the needs of the market. “Culture is powerful and operates at high levels of stealth – most often before you are aware it’s a problem,” Henderson claimed. “The more in touch you are with your culture, the more you can adapt and respond with greater agility. As leaders, Henderson advocated placing less reliance on engagement surveys and encouraged more internal conversations, along with adopting a circular, rather than triangular or ‘top down’ leadership approach. As human beings, it’s in our nature to form select and small circles of engagement, he continued, and these again should be tapped into by organisations both to become more effective internally, as well as engage with customers. “The more you go with the flow of culture, the better the results,” he claimed. “The earliest tribes also would sit around the fire at night, and that was the time when I’d get to hear the trials and tribulations of your day and start to respect you. According to Henderson, leaders should be located at the centre of the circle and be the heartbeat of the business. Other important steps are having service-led conversations, not profit-driven ones; and constantly talking about belonging. Organisations also need to discuss appropriate versus inappropriate customer experience behaviours and share these publicly in a strong, but not bullying way. This is what fosters safety and trust, the two core components of maintaining a strong cultural identity, Henderson said. “This is what will build a culture that responds empathetically,” he said. - Nadia Cameron travelled to Customer 360 Symposium as a guest of Ashton Media.